It is designed to be dispersed in a variety of binders with a unique, three-dimensional appearance of the color and metallic showing through. 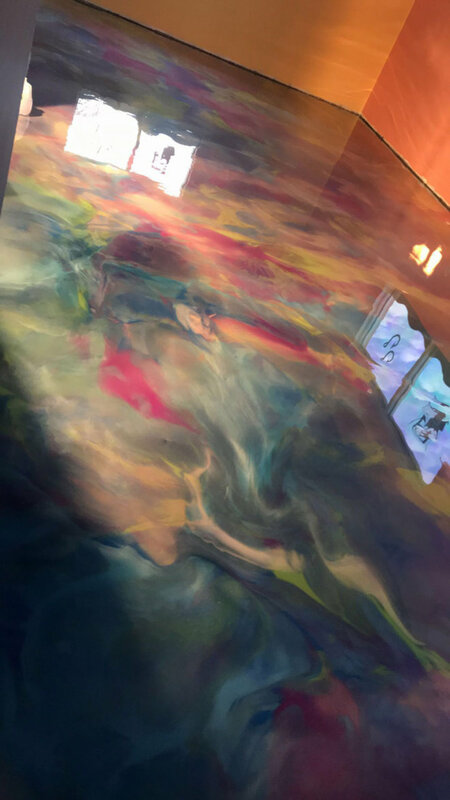 Because the product is a clear epoxy, the end result can end up being very translucent. 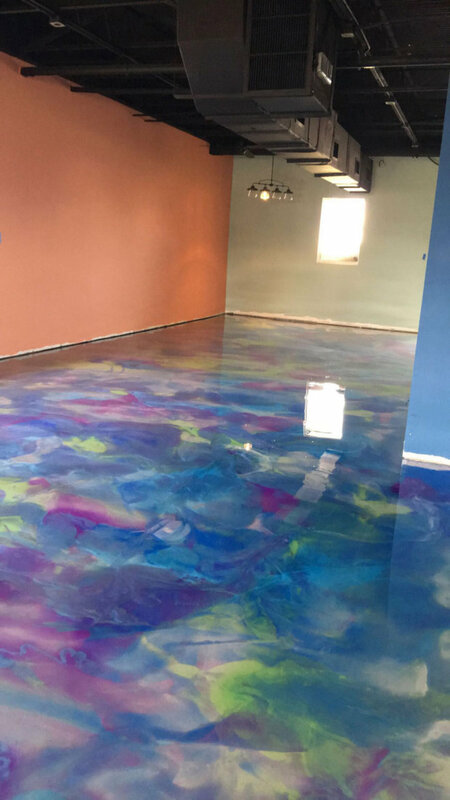 However, the looks you can create with metallic epoxy are endless. 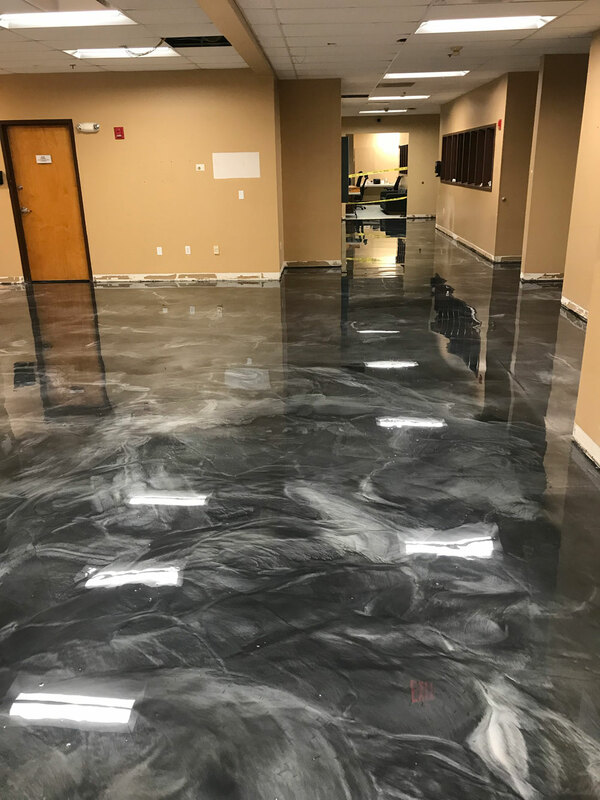 The finished appearance of metallic flooring systems can vary from soft and subtle changes in color, to a more distinctive hammered effect. There is a certain amount of natural variation in the finished product appearance from job to job, which makes no two jobs identical. 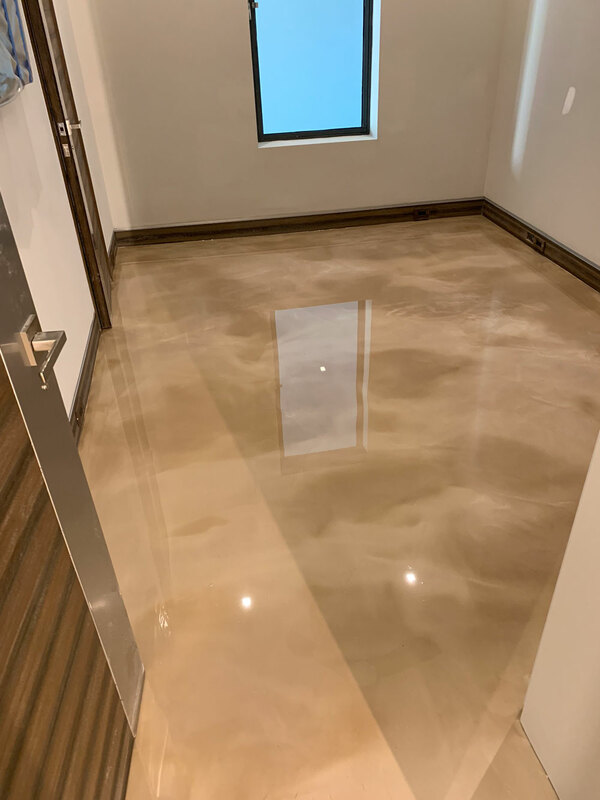 It is the fact that each floor is noticeably different that makes the product so unique and desirable. 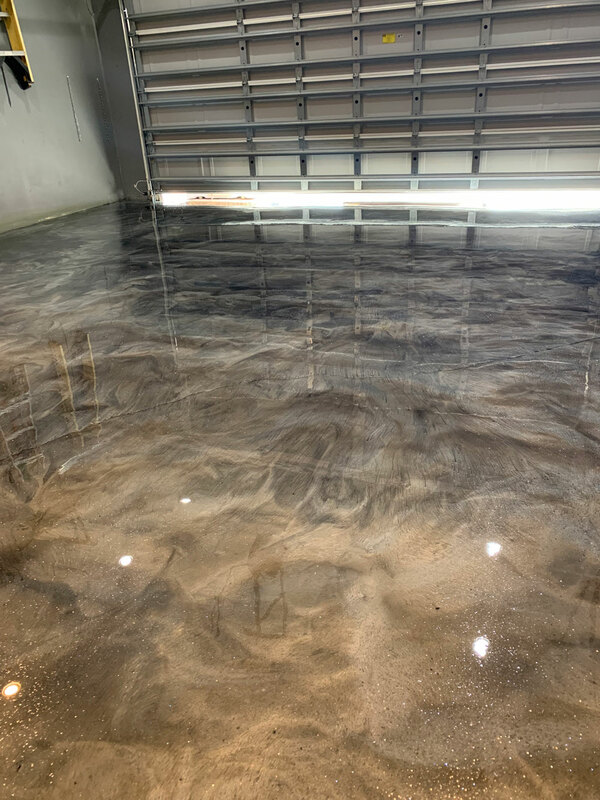 Metallic Epoxy looks amazing on garage floors and they are also the most durable impact resistance system one can ever get . 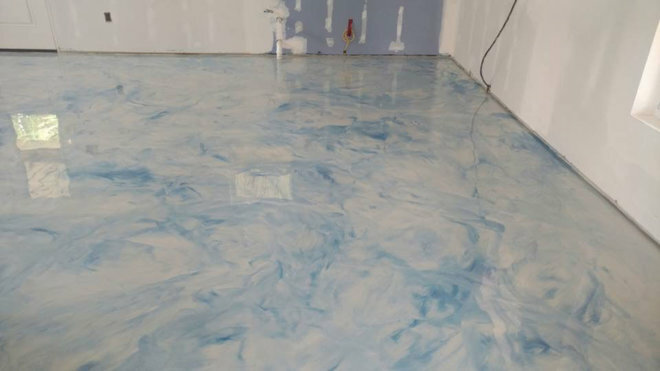 A large percentage of Quality Epoxy’s residential jobs are garage floors. With our state of the art grinding system we can install your metallic epoxy garage floor faster and cleaner than you ever dreamed possible.